The statistics speak for themselves. Population (human): 1,200; Population (dog and cat): 241; Veterinary support: None; Nearest state veterinary service (free service): Four hour drive on a dirt road; Nearest veterinary practice (not free): two hour drive on a dirt road. Welcome to Loxton, a village in the Bo-Karoo or Nama-Karoo, a semi-arid, remote place in central South Africa where the scrubby red-gold landscape stretches unbroken except for the odd koppie (small hill) and is reached most directly by a 120 kilometre dirt road that includes the heart-stopping switchbacks of the Molteno Pass, and a seriously tyre-unfriendly gravel surface. Yet there is something quite unique about this landscape. Stretching in all directions the size of Belgium with Loxton at its centre is the habitat of a very special bunny – the critically endangered Riverine Rabbit (Bunolagus monticularis). 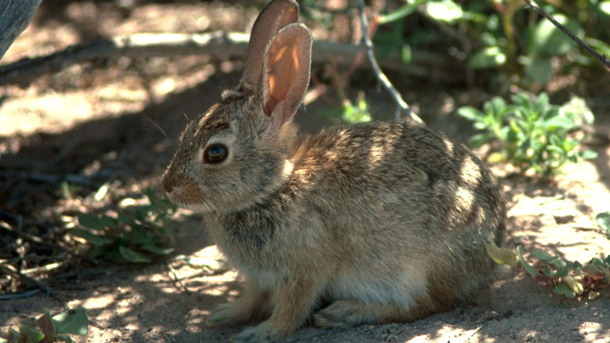 Only 250 breeding pairs of this rabbit are thought to remain hereabouts; it is one of the most threatened terrestrial animals in southern Africa, mostly due to the fact that two-thirds of its habitat has been fragmented or destroyed in the past 50 years by human activities and disturbances. In addition, an adult female rabbit will only have one, maximum two kits (baby rabbits) in a year. So when the Endangered Wildlife Trust suggested we collaborate on #theloxtonproject to sterilise at the very least 70 percent of the domestic pets in the village to help in their efforts to protect this unusual little bunny it seemed like a great opportunity. 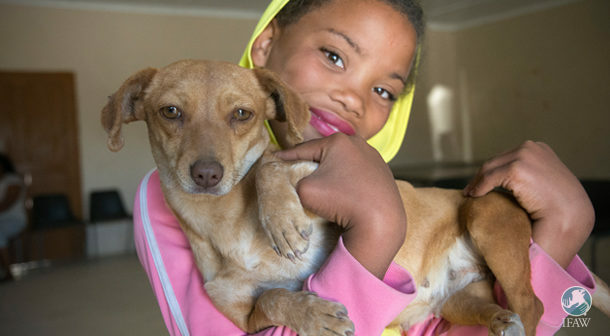 We joined IFAW’s conservation mission with our work on community animals by bringing desperately needed primary veterinary services to the pets of a remote community living on the poverty breadline. Next onboard was EnviroVet CVC, a satellite community veterinary clinic that takes its mobile service to small, usually rural indigent communities where access to care for pets is either unaffordable or simply not available. Communities like Loxton. Started in 2011 by Dr Annelize Roos, EnviroVet CVC falls under the umbrella of the South African Veterinary Association. Dr Roos and her veterinary nurse René de Wet, and assistants Caro Swarts and Riaan Alexander, are constantly on the road in their trusty panel van, loaded with all the paraphernalia needed for a sterilisation outreach. On this occasion they had two tyre blowouts while negotiating that wicked dirt road. So what does the Riverine Rabbit have to do with a sterilisation drive for domestic animals? Domestic and feral dogs in the Karoo are often in poor condition, allowed to stray or are used to hunt small game near towns and on farms. In addition they often form packs when chasing unsterilised females in heat, attacking sheep on communal farms. Most dogs (and cats) in Loxton were not sterilised, allowing for rampant breeding. 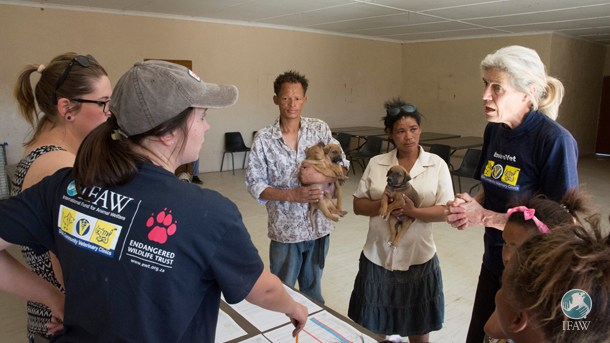 Dr Roos aims to sterilise in excess of 70 percent of the pets in a community in a single six-month breeding cycle. This strategy controls populations of new litters, and a regular six month follow up of each community means that only a minimum of pets will need to be sterilised on an ongoing basis – a simple and cost effective solution to managing pet populations. Finally rolling into Loxton on Saturday afternoon, 10 hours and two blowouts later, EnviroVet had their first sterilisation on the operating table by 14h00. In three days, in total, 145 pets were sterilised – with the exception of two owners who refused sterilisation of their pets, all others consented to sterilisation after educational counselling. 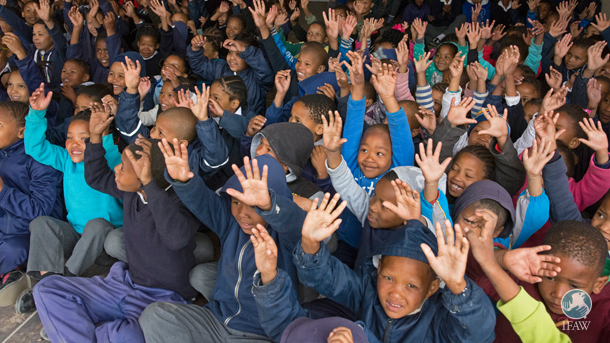 IFAW’s grateful thanks to our supporters and donors without whom #theloxtonproject would not have happened. Our next collaboration with EWT and EnviroVet CVC to sterilise pets and help save the Riverine Rabbit will take place in Carnarvon in November.